The University of Nebraska–Lincoln has academic spaces to meet the educational needs of over 25,000 students making the possibilities almost endless. 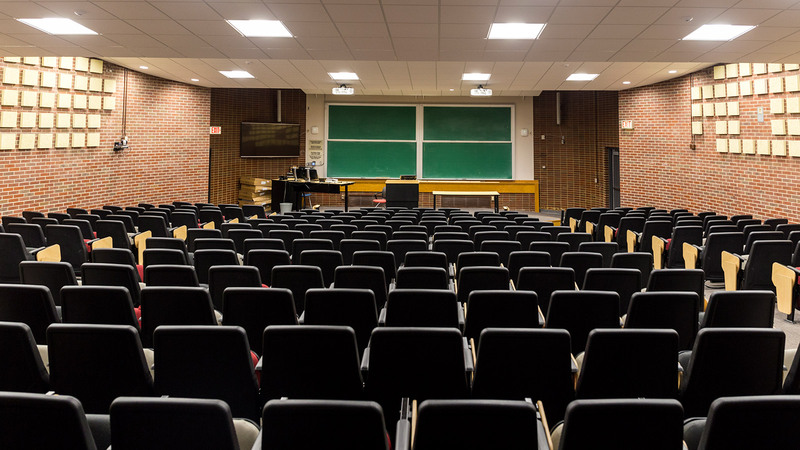 Hundreds of classrooms and lecture halls are spread throughout campus with 129 general purpose classrooms and lecture halls available for uses other than university classes. A variety of capacities, configurations, and technology make these great meeting spaces. Read on for more information. 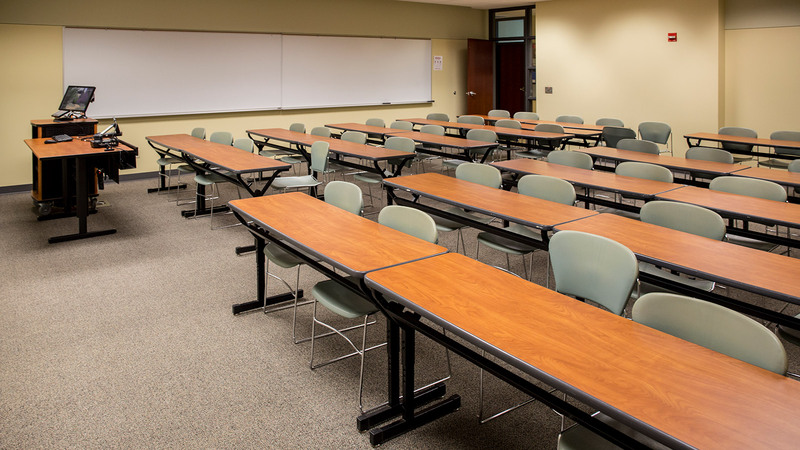 Our modern classrooms are a great fit for your meeting needs. 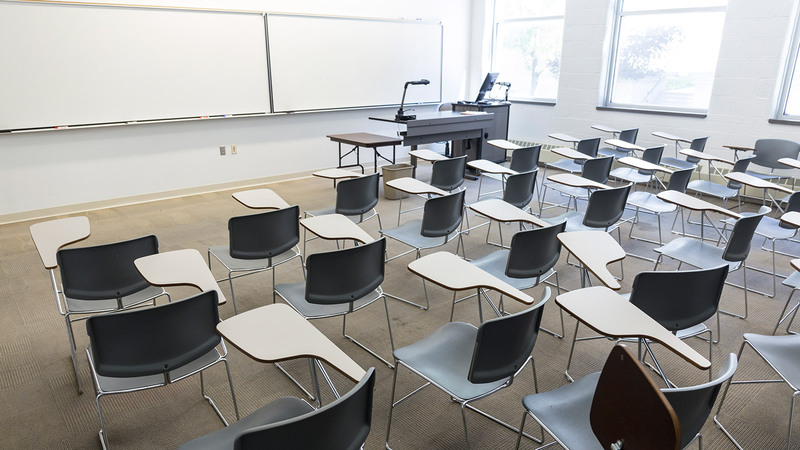 We have 94 small classrooms with capacities ranging from 13-49 seats. If you need more space we have 15 large classrooms that seat between 50 and 103 people. All classrooms come with a flat floor, while some offer moveable seating and others have fixed seating. A variety of technology comes built into classrooms. 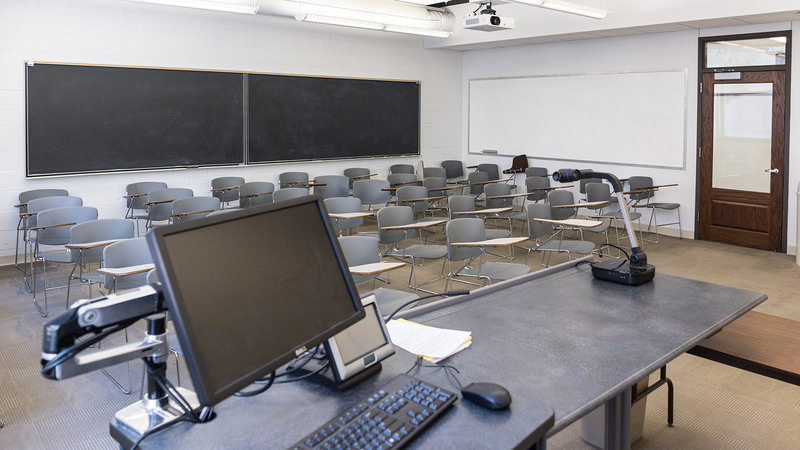 The setups range from media-ready classrooms that allow you to connect your device to the projector all the way to classrooms with both PC and Mac computers, touch panel controls and wireless microphones. Let us know your needs and we’ll find you the perfect space. Large events require large meeting spaces. 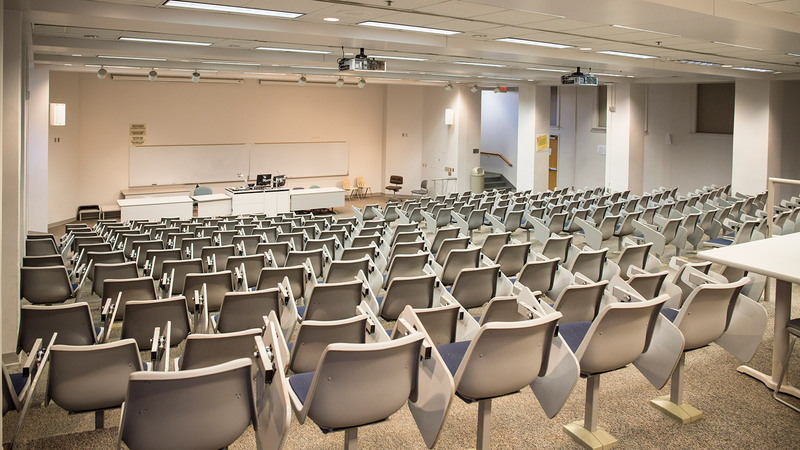 Our 20 lecture halls give you just want you need. These tiered or sloped-floor spaces have capacities from 99 to 286 people. Simple to use touch panels put you in control of lighting, projection, and sound systems with the ability to use the built-in PC, Mac or connect your own device. Lecture halls make large meetings simple.